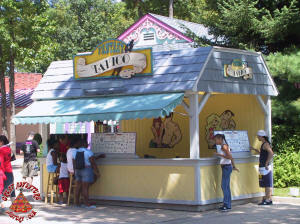 Temporary tattoos were a fad that started in theme parks in the 1980's with most parks having several stands or kiosks where kids could get tattoos to show off to their friends and horrify their mothers. 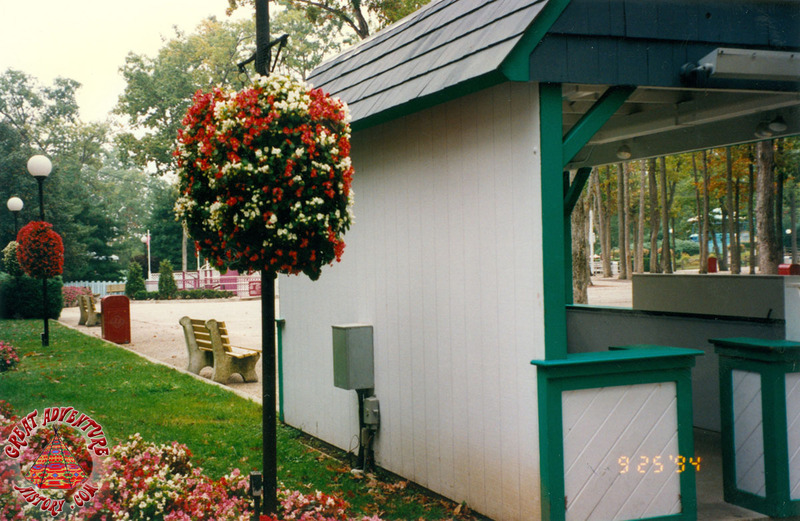 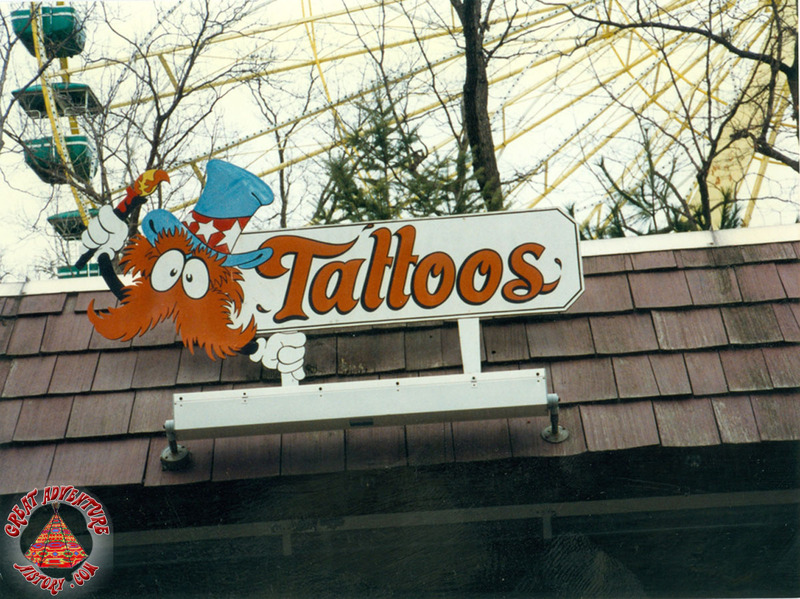 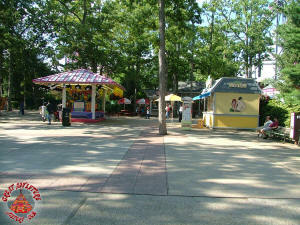 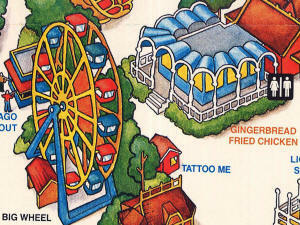 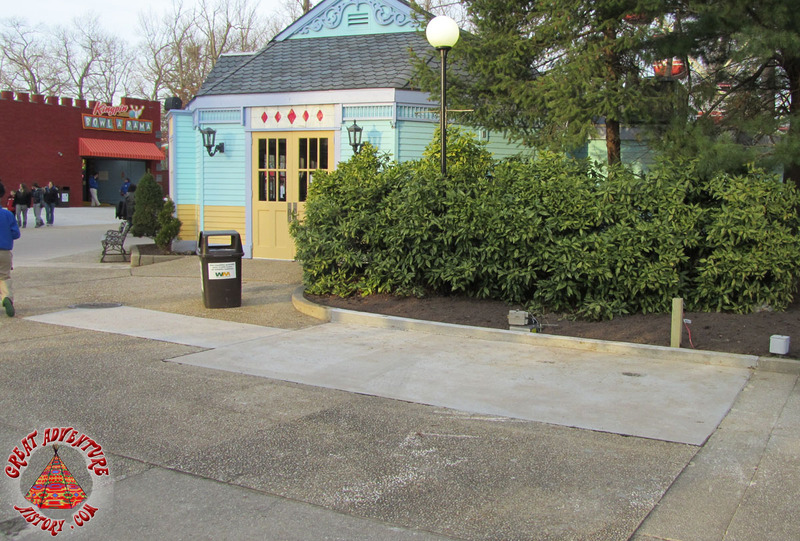 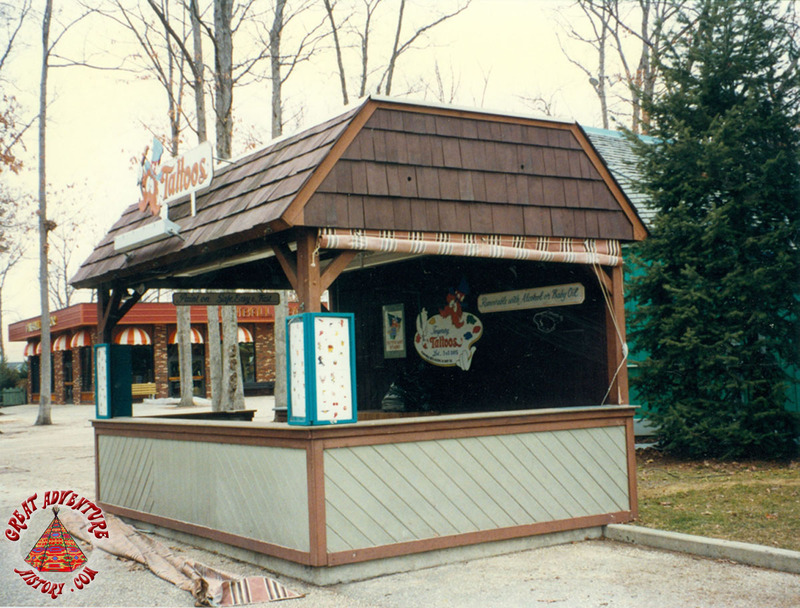 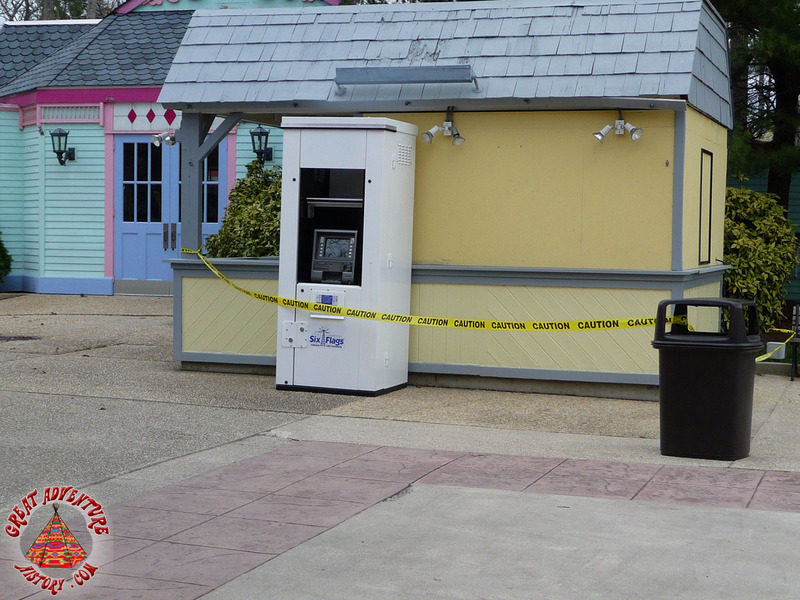 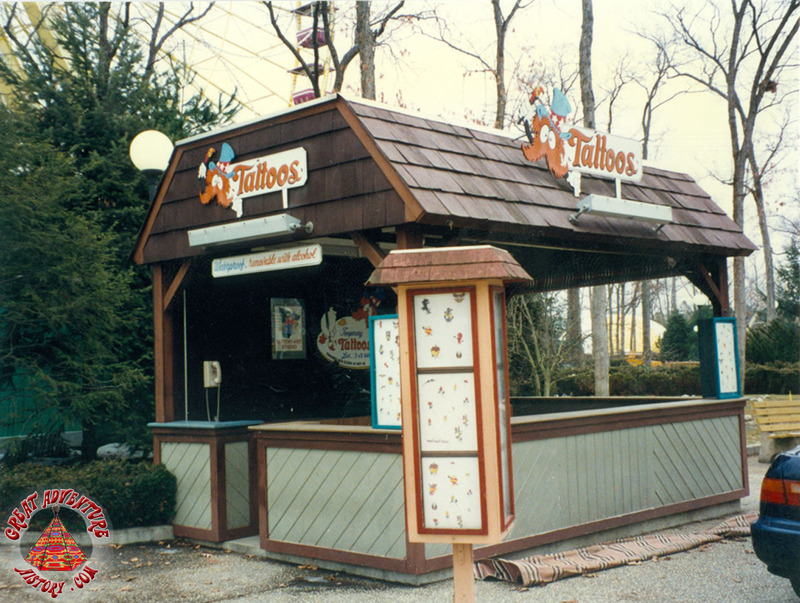 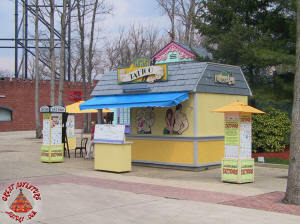 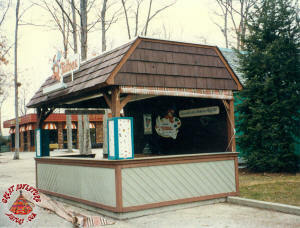 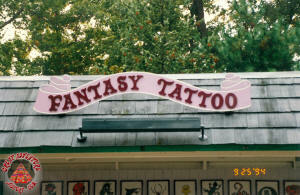 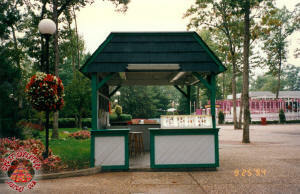 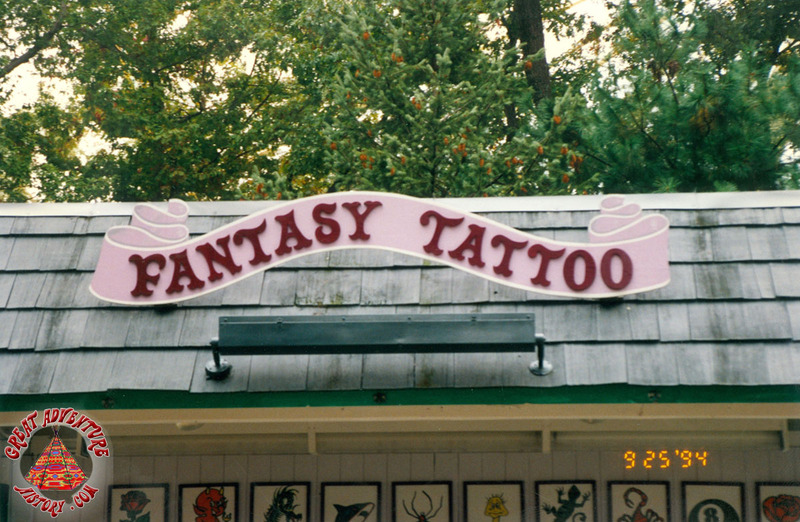 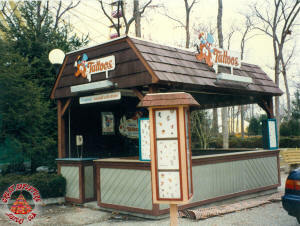 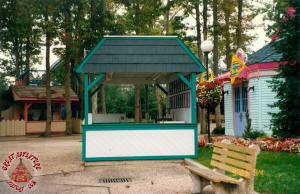 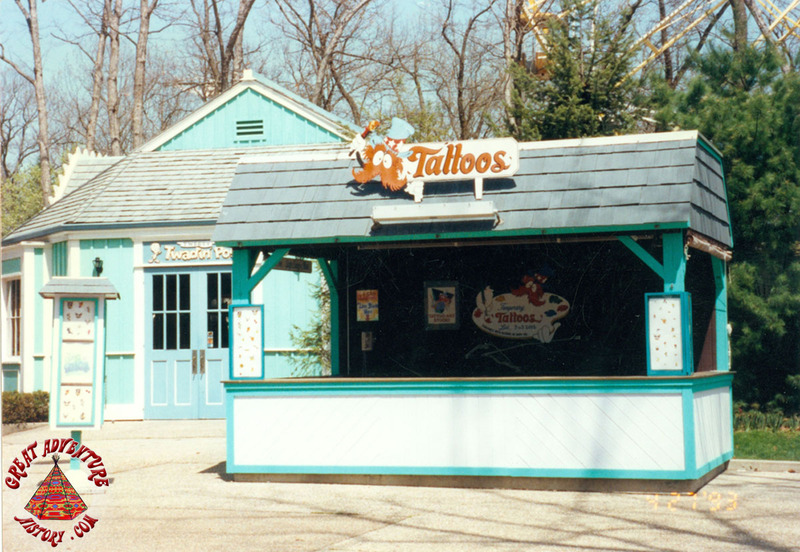 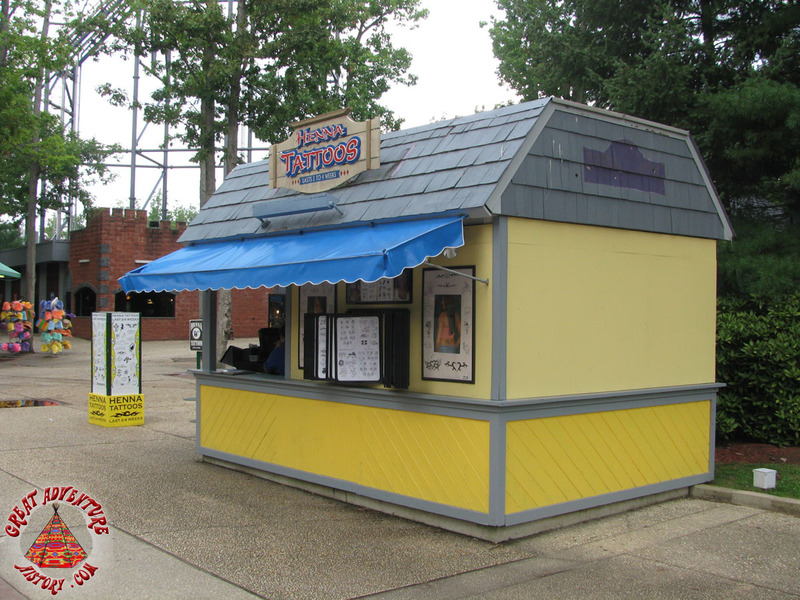 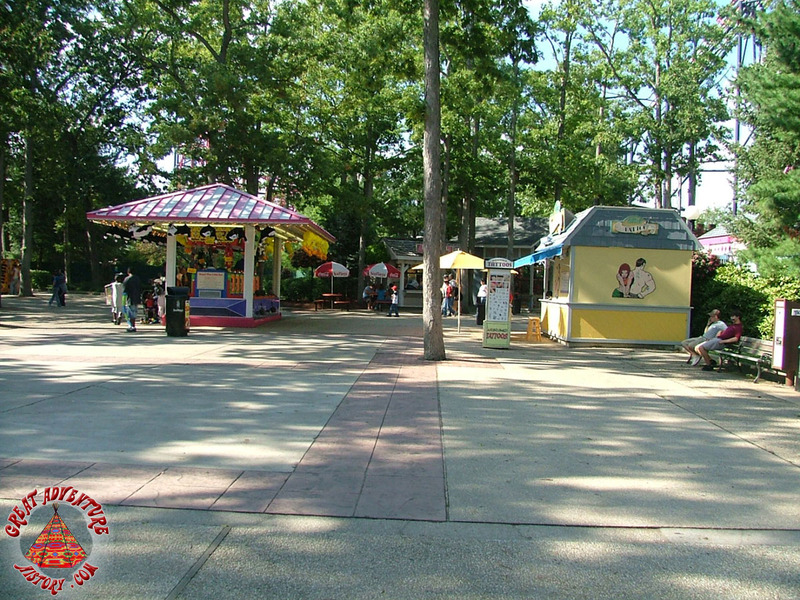 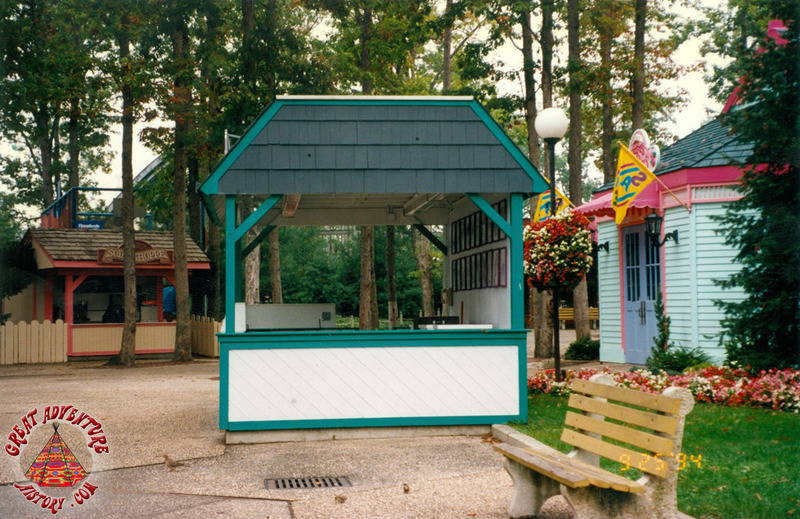 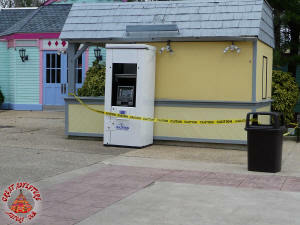 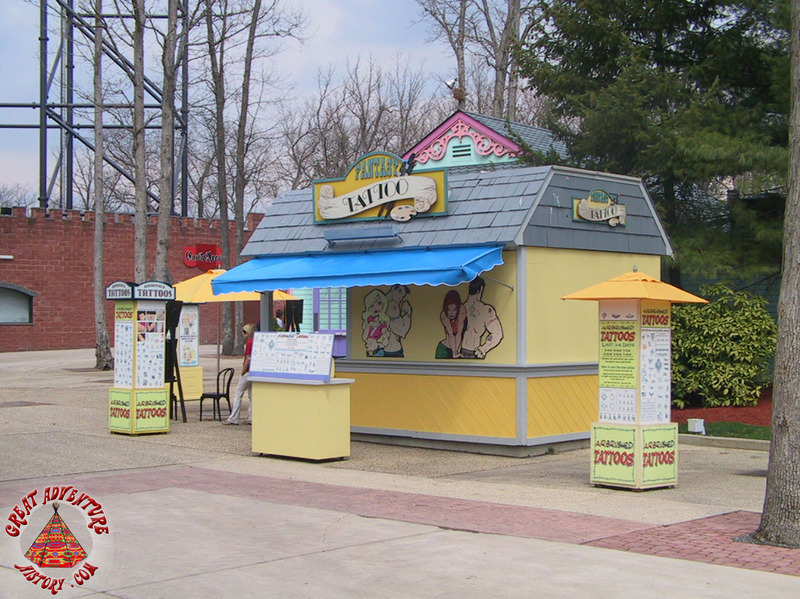 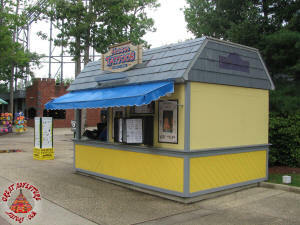 The Tattoo Me stand was added to Six Flags Great Adventure in 1985, and was the second stand in the park to offer temporary tattoos. 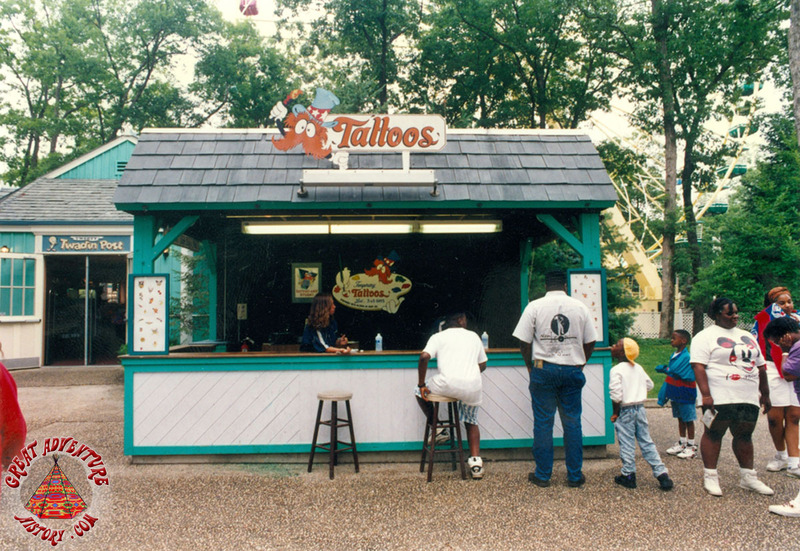 Tattoos were popular "souvenirs" of a visit to the park (though they only lasted a few days). 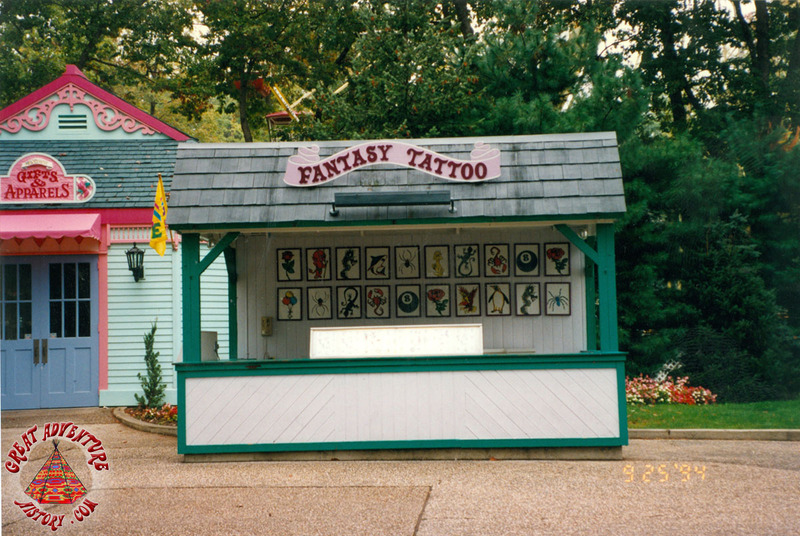 At the time real tattoos were something of a rarity, mostly seen as something that "nice" people didn't get, so kids all wanted them. 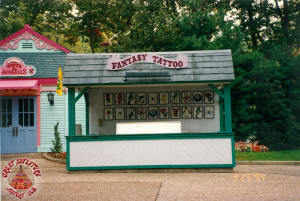 The "Tattoo Me" name was a take on a popular Rolling Stones' album around that time titled Tattoo You. 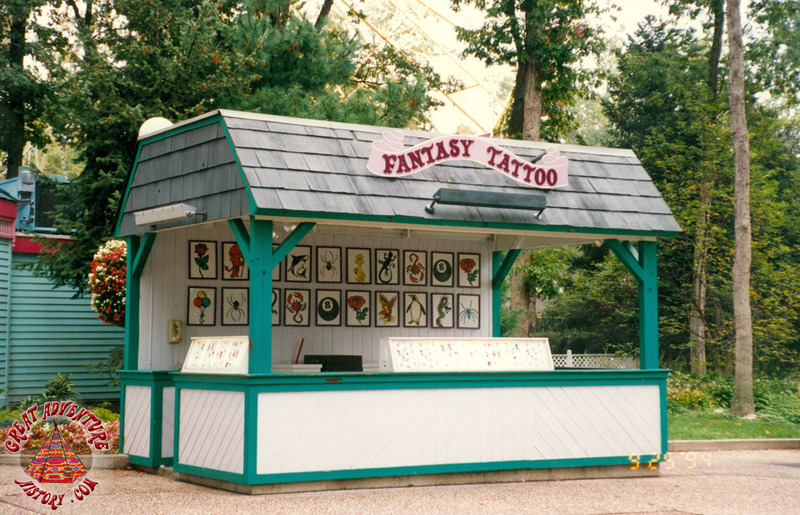 The tattoos were all applied with a premade transfer that was applied to the skin, then the artists would paint in the colors by hand. 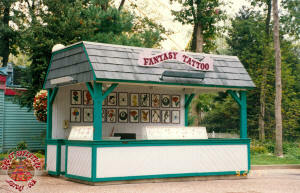 They had all of the designs available displayed, and guests could choose from the large assortment. If you were nice to the people who worked there or knew someone, they could give you one of the "forbidden tattoos" that the park deemed too racy or didn't allow because of licensing problems. In the 2000's Henna Tattoos became a big thing and replaced the old style artwork. 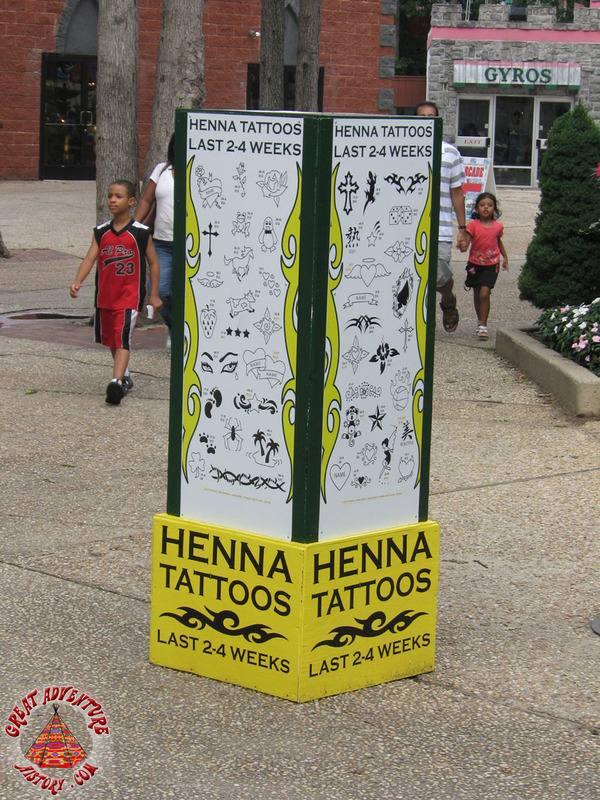 The Tattoo Me stand was finally removed in 2009 as the appeal of temporary tattoos faded with the increasing popularity and acceptance of the real thing.